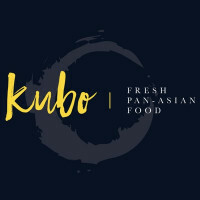 Kubo offers fresh pan Asian food that we all know and love with a twist. Their restaurants are relaxed and informal and the food is served with no fuss. Each dish is prepared fresh and cooked to order so Kubo can cater for most of their customers' dietary needs. Kubo also offers "Kubo to Go," to enjoy in the comfort of your home. Now delivering to Cork City, Spur Hill, Carrs Hill, Monees, Glanmire, Glyntown, Sallybrook, White's Cross, Lios Cara, and Glensprings. As Kubo cares deeply about the health and wellbeing of his customers, healthpro services were contracted in 2018 to compile the nutritional and allergen profile of their menu. Kubo customers can now make selections to suit their individual needs, using the instore nutrition, allergen and lifestyle symbols, or by browsing their website, where a detailed breakdown of each products' content is available. We are pleased to announce that Kubo continue to fulfill all necessary criteria for inclusion in healthpro's on-line platform for customer nutritional information provision, the Healthy Eating Guide.